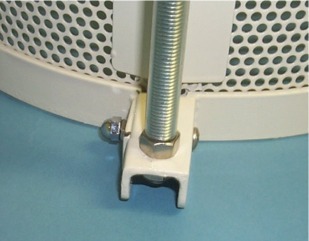 Bell jar cages help protect the user from potential harm via fracture or implosion of the glass bell jar. They limit potential liability claims. 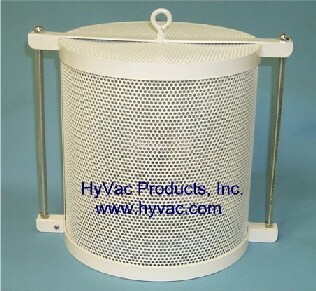 They are and can be fabricated to sizes to accommodate the size of the jar being used. Here are some pictures of what the bell jar cages look like and some of the features. These are very simple. A rubber strap is sometimes employed part way down the bell jar barrel to insulate it from impact with the cage when this is lowered over the jar.